You’ve come to the right place if you require the best 40-inch televisions for your home. All products recommended here are durable, highly functional and they don’t cause a severe dent in your pocket. In the past, televisions were bulky with hefty price tags. Thanks to technology, newer models on the market are more lightweight, and they cost less, which often surprises many customers given their high quality. The models we recommend below offer a full HD experience to help make your viewing experience phenomenal. Our team of experts believes that no matter your budget or requirement, you will find a 40-inch television designed just for you in the list below. 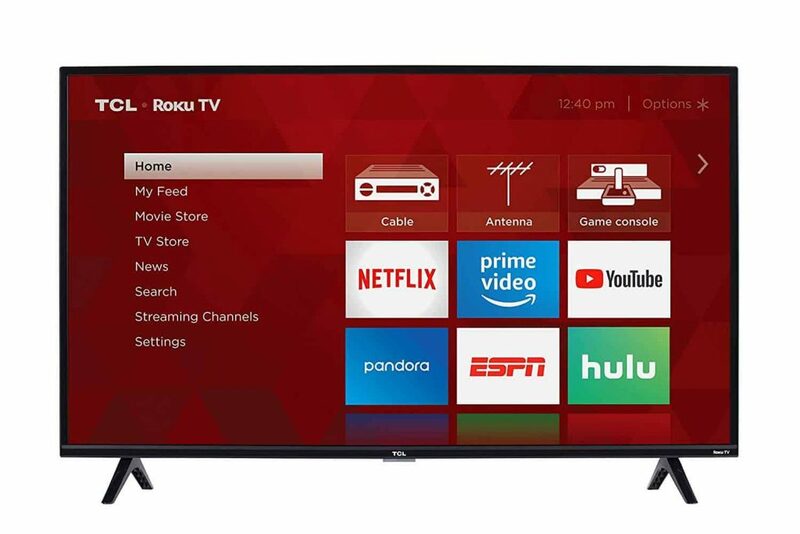 The TCL 40S305 Roku Smart LED TV is the best choice of 40-inch televisions, according to several user reviews found on the internet. It is a television designed with countless innovative features that make it the best bang for your dollar. The TCL Roku Smart TV is also extremely affordable, making it a favorite among economic TV owners. This television possesses a broad range of features that work together to make this unit productive. Some of such elements which we find exciting include its ability to stream over 4000 channels for users. This means you get to enjoy several shows from across the world, in the comfort of your home. It also offers a clear and crisp display thanks to its 1080p resolution. 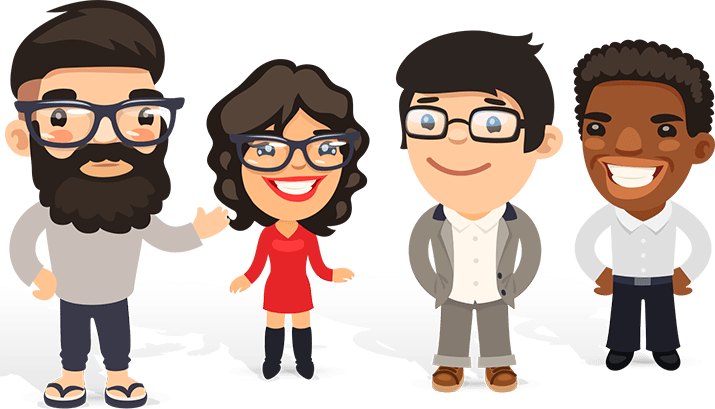 The TCL is an almost perfect product to purchase, as per the many reviews online, but some features make it less desirable than other brands. The major con of this tv is its lack of 4k resolution. This together with its reduced brightness to contrast ratio causes customers to learn more toward other Ultra-HD machines. We love this television for so many reasons, and we recommend it to everyone who is looking for quality in their next television set. Besides additional features such as HDMI and USB connectivity, the TCL Smart Roku TV offers you all your entertainment at a single place. With such a product, you wouldn't need to move an inch! The next television set to be described is the Samsung Smart LED TV. This is a flat screen television that offers users with decent picture and sound quality, for a great price. It is an affordable 4k smart TV that has its design fine-tuned to create the most vibrant image display for a beautiful viewing experience. Every smart TV comes with unique features that set it apart from all others, and the Samsung UHD 7 series is no different. This television allows users to enjoy millions of shades of colors. 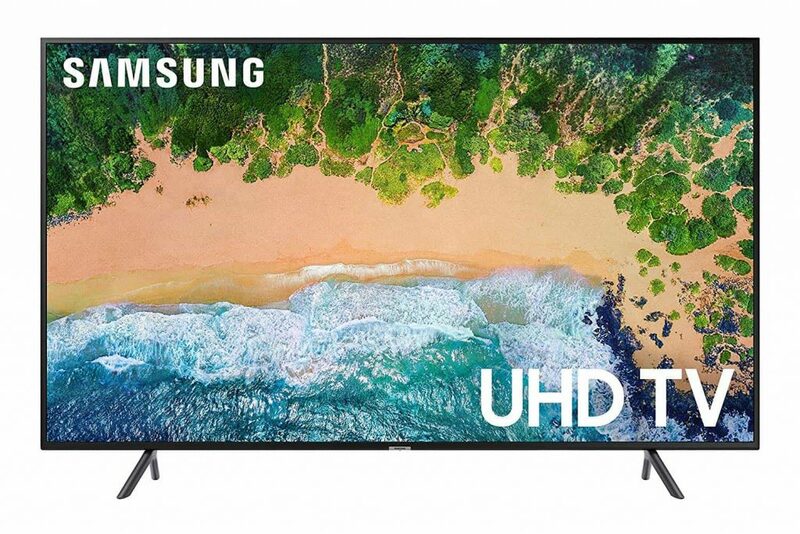 Besides its modern and elegant design, this television comes with a Samsung Remote Control system that gives you access to various streaming services on your TV. The design aspect of this product that doesn’t excite many users and television experts in the absence of some premium features that are typical of smart television. The Samsung smart tv is also regarded as a tab bit small for the level of resolution it offers, and this is something we believe manufacturers can work on. Away from all the pros and cons of this television, we will recommend this unit to anyone who needs high display specifications in a small size television unit. We also recommend it for those who require a cost-efficient group for their homes or offices. There is another product from Samsung on our list of recommendations, due to its reliability and functionality. It is the Samsung Electronics Class Smart LED TV. Seasoned professionals built this unit with significant emphasis placed on the quality of its display. It is a 40-inch television that creates a new standard in the design of TVs, thanks to its many innovative features that are exciting to use and simple to figure out. The first feature of this Samsung beauty we love is the picture quality, which surpasses that of many televisions on the market. It also offers an exceptional sound quality that makes your movie, video game or favorite music more exciting and realistic. The use of lightweight materials for its construction makes the Samsung Class TV very; thus, it is easy to mount your product on your wall to save space within your room or office. Despite this unit being a tremendous smart device, some users admit to experiencing bad moments with the operation of their apps. Besides the lag in applications running, some customers have admitted to having issues with the screen display, having experienced blurriness from fast-moving objects from the television screen. If you're looking to have a great time with family and friends or by your own via the viewing of movies and the playing of games, there's no better television unit to opt for than the Samsung Class Smart LED TV. With its 1080p resolution and fluid browsing experience, you can access thousands of channels for your viewing pleasure, while using social media or any other application simultaneously. The Vizio M-Series of 40-inch television present potential buyers with television models with a difference. 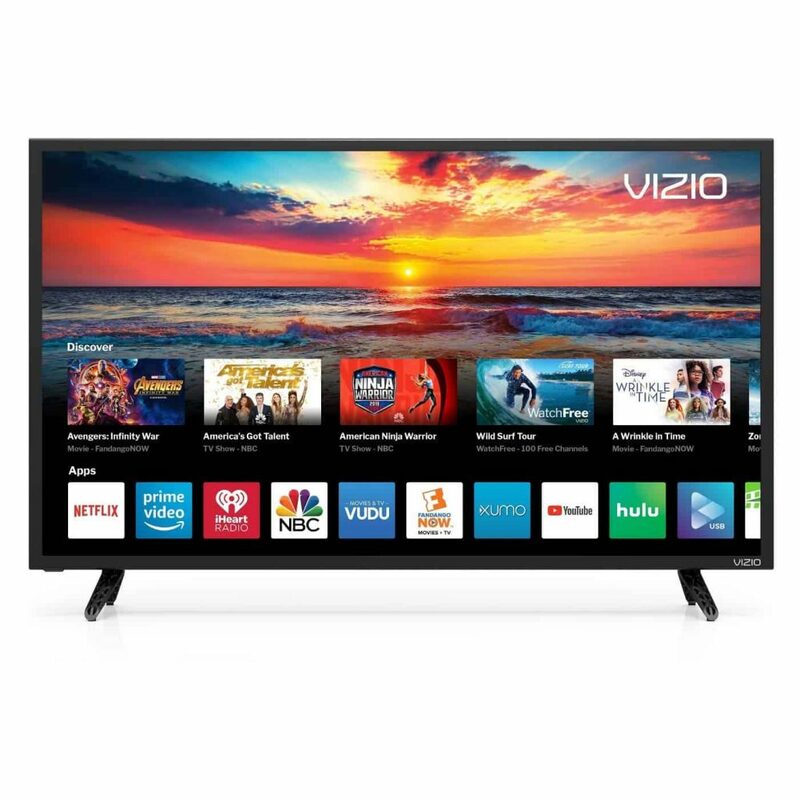 Products belonging to a leading manufacturer in the world of smart TV’S, the Vizio D-series television is an a model that features smart functionality together with its magnificent visual and audio displays. 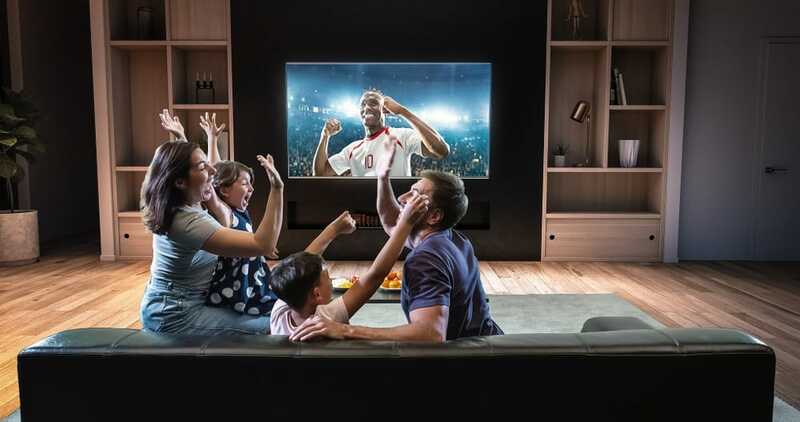 This television features a USB port and two HDMI cable ports for extreme connectivity; an LED backlight that delivers a full array of light from five active LED zones. 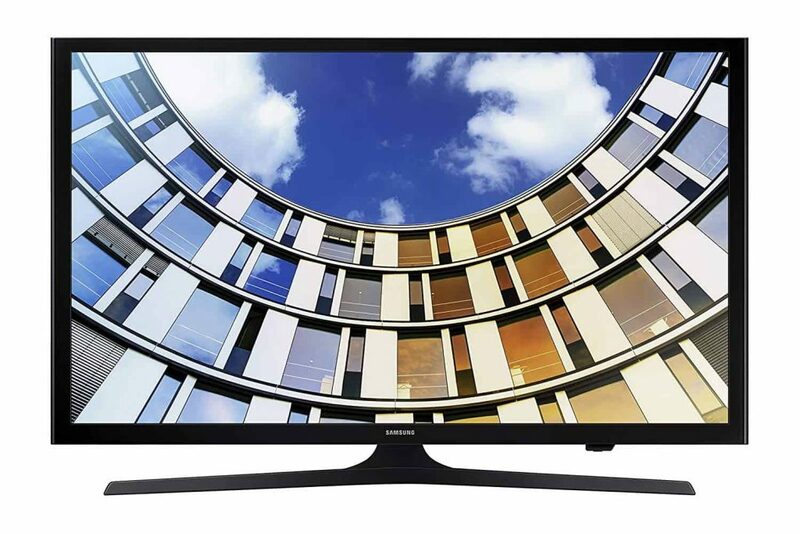 It also features a 120Hz refresh rate which makes this product one of the most effective on the market and our list. The lack of buttons on this unit makes its operations complicated and confusing. Also, some users admit that the M-series television from Samsung experiences some bug attack from time to time and as such, it has to be unplugged and plugged to bring back its operations. Vizio has created for us the answer to all our visual and audio display issues by creating the D-series of televisions. Every programmed function has been included to ensure that users can thoroughly enjoy some of their favorite things effortlessly in the comfort of their homes. Sansui TV is an LED product which is flat by design and durable by construction. It is a product that comes in various sizes to cater to your ever growing family as and when it becomes necessary. The 40-inch unit is one spectacular model with a terrific resolution for clear and crisp photos. 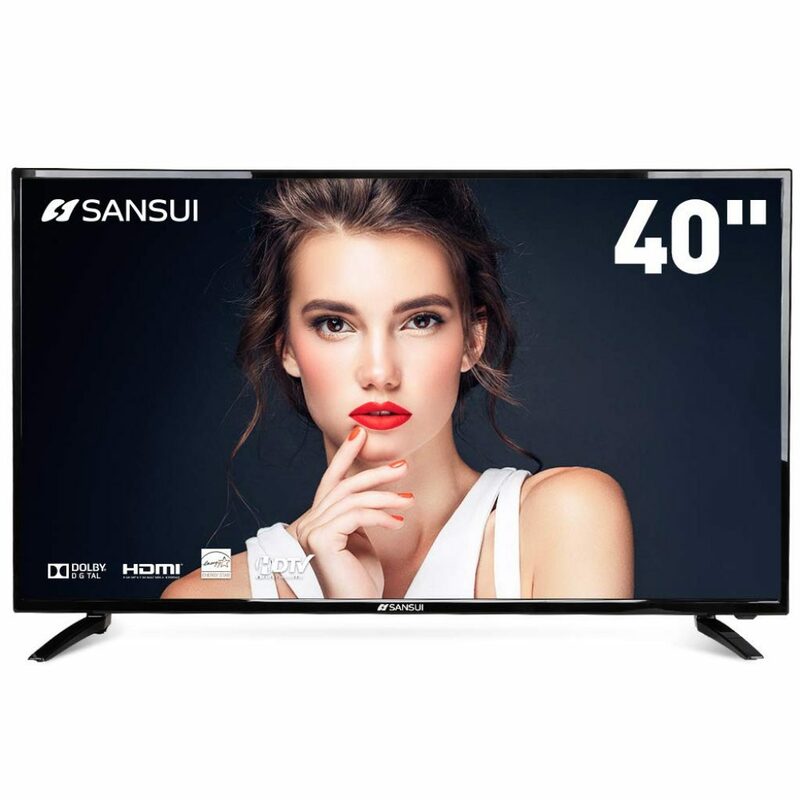 Besides its 60 Hz refresh rate which is magnificent for a 40-inch unit, this television from Sansui offers users connectivity through USB, HDMI, pc, audio in and many more to make wireless usage very easy. The lack of IPS panels makes this unit very difficult and unpleasant to use. An improvement of this feature or lack thereof will significantly increase the productivity of the television and resultantly encourage more sales around the world. The picture quality of the Sansui television is clean, crisp and accurate of the Sansui brand. This product offers a high resolution to bring you a more vibrant and colorful life.